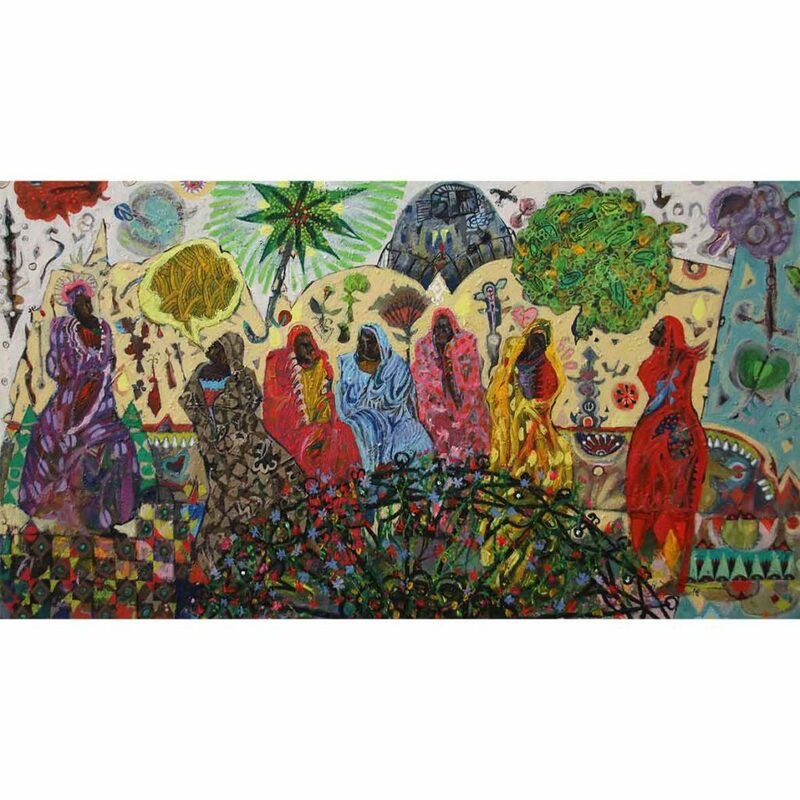 As a result of a tumultuous political and economical period in Sudan, which too brought about disputes of its historical context, Hussein Salim spent a number of years as a refugee in various countries such as Egypt and South Africa. 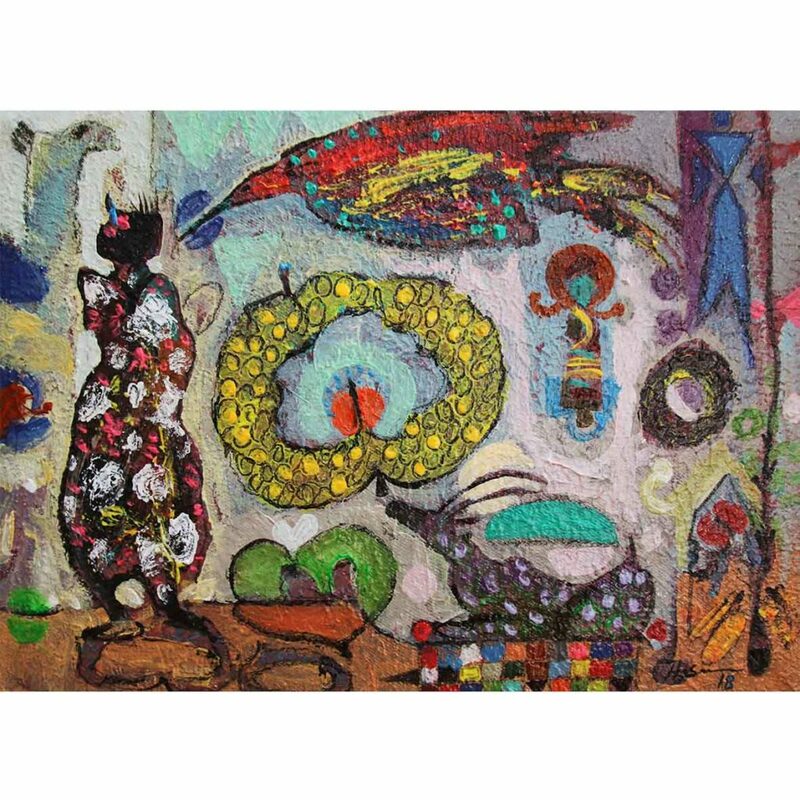 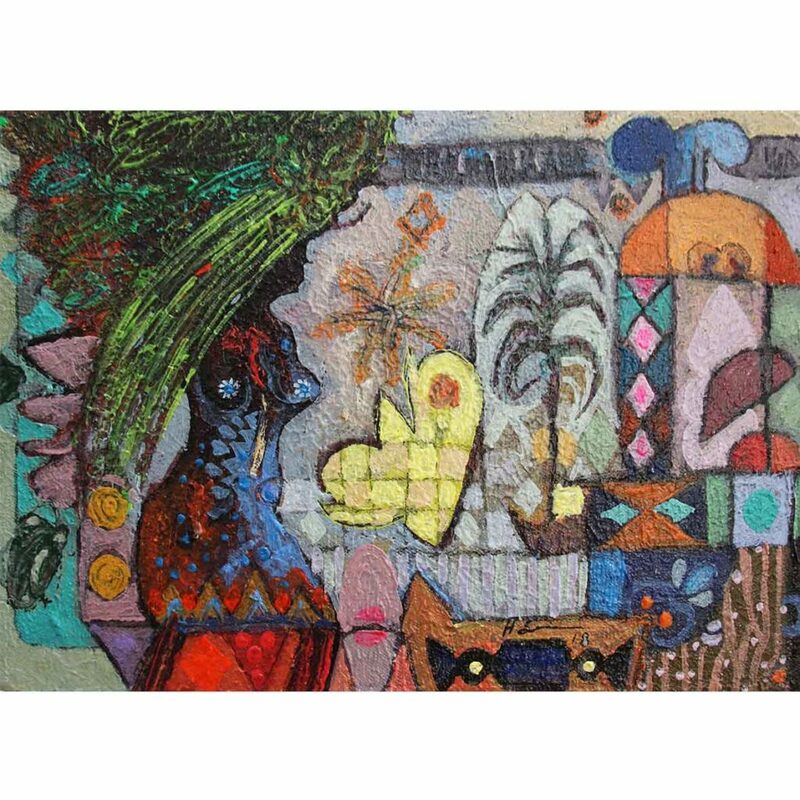 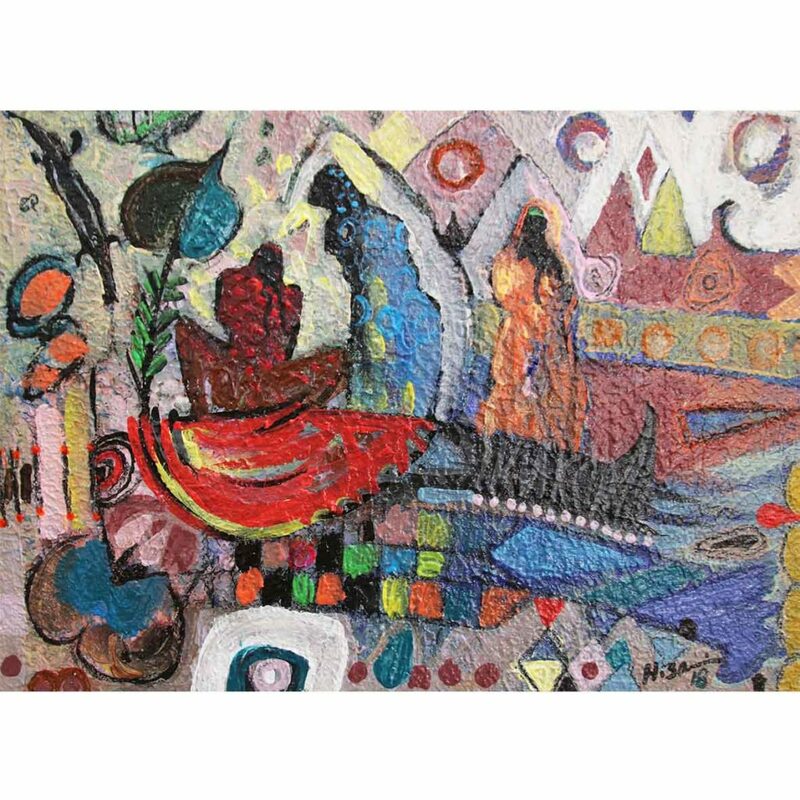 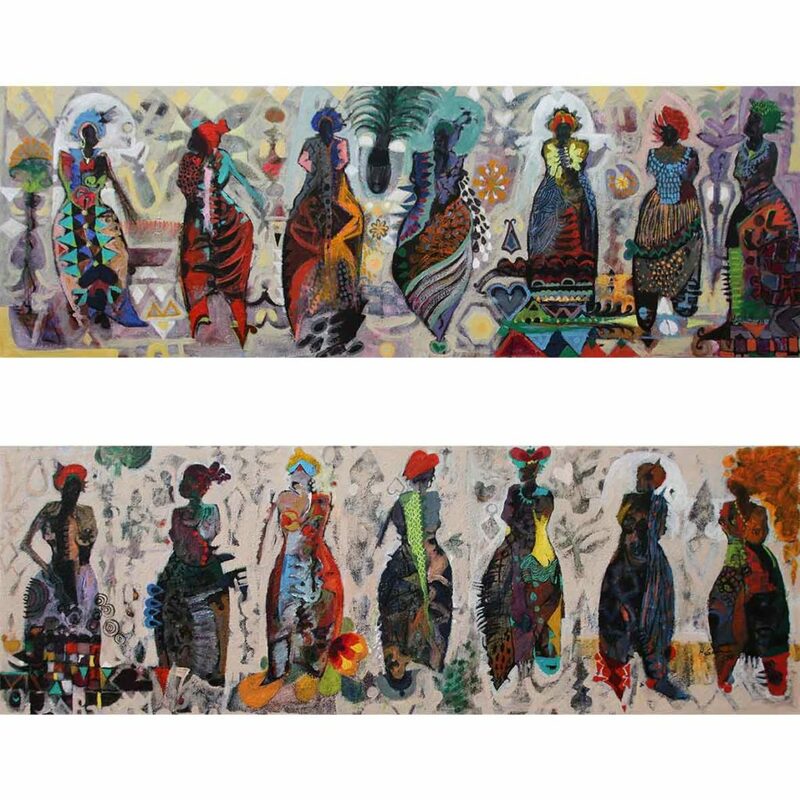 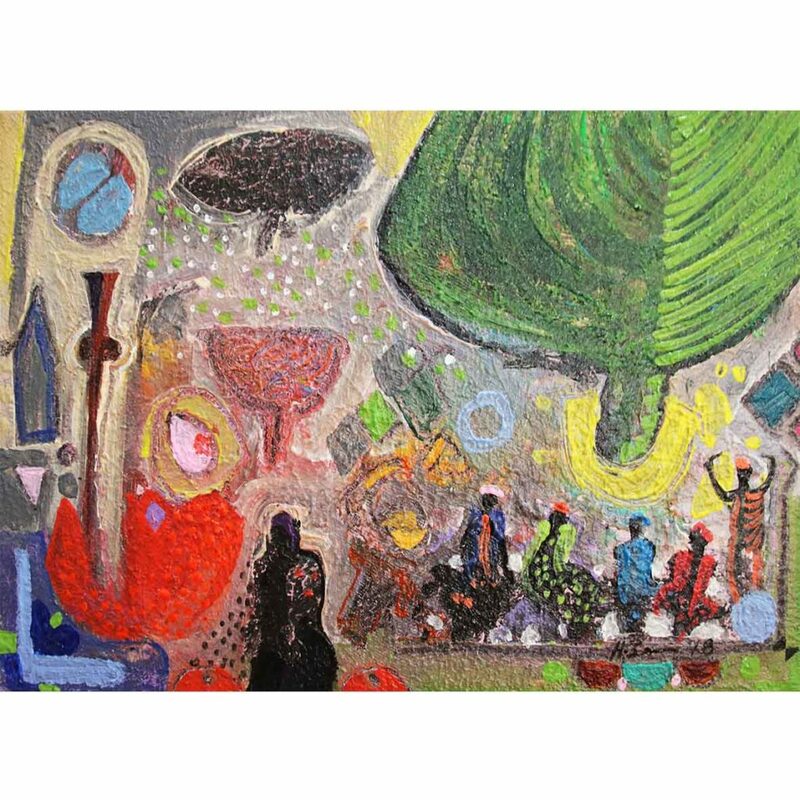 Despite his artistic training in Khartoum University, he attained his Master’s degree in art at the University of Kwa-Zulu Natal, Pietermaritzburg. 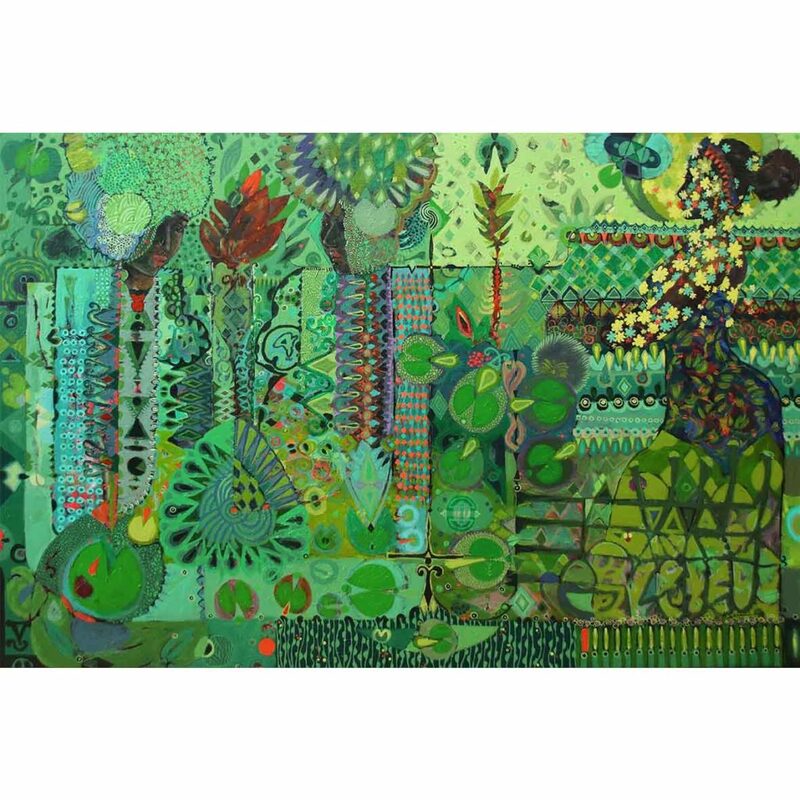 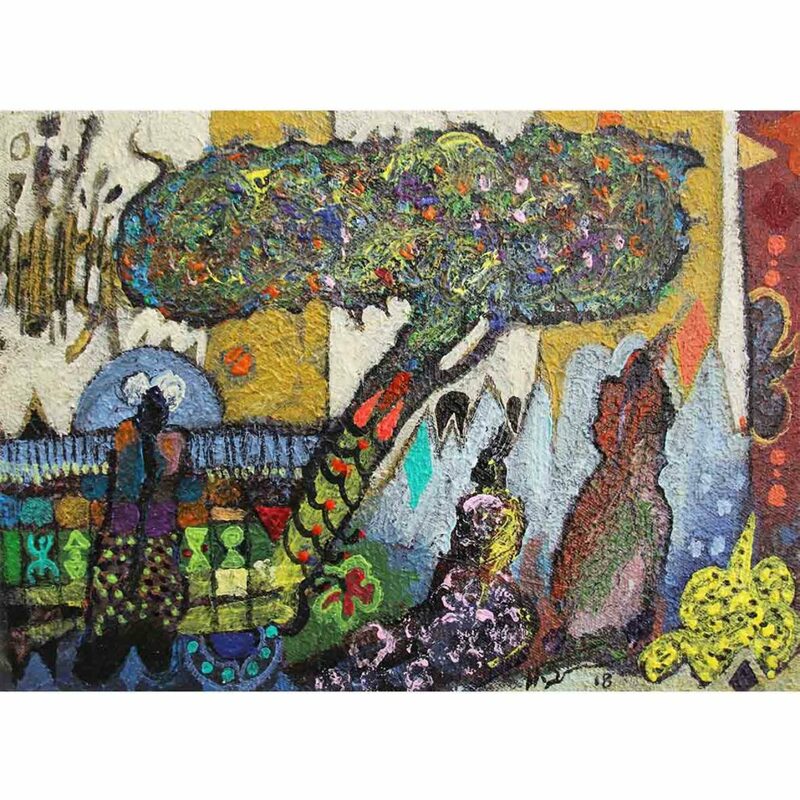 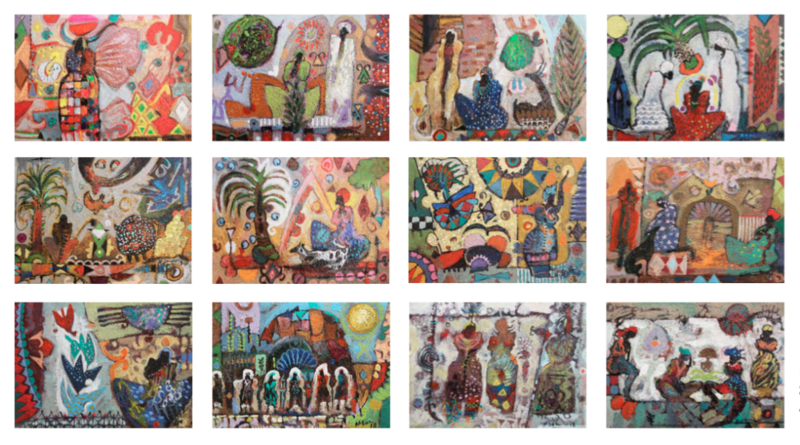 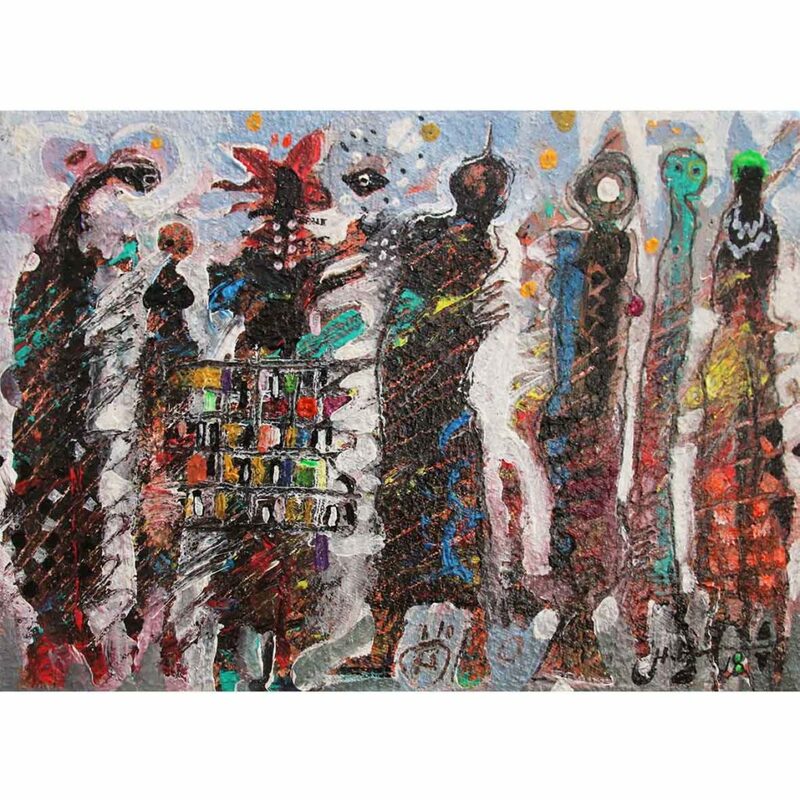 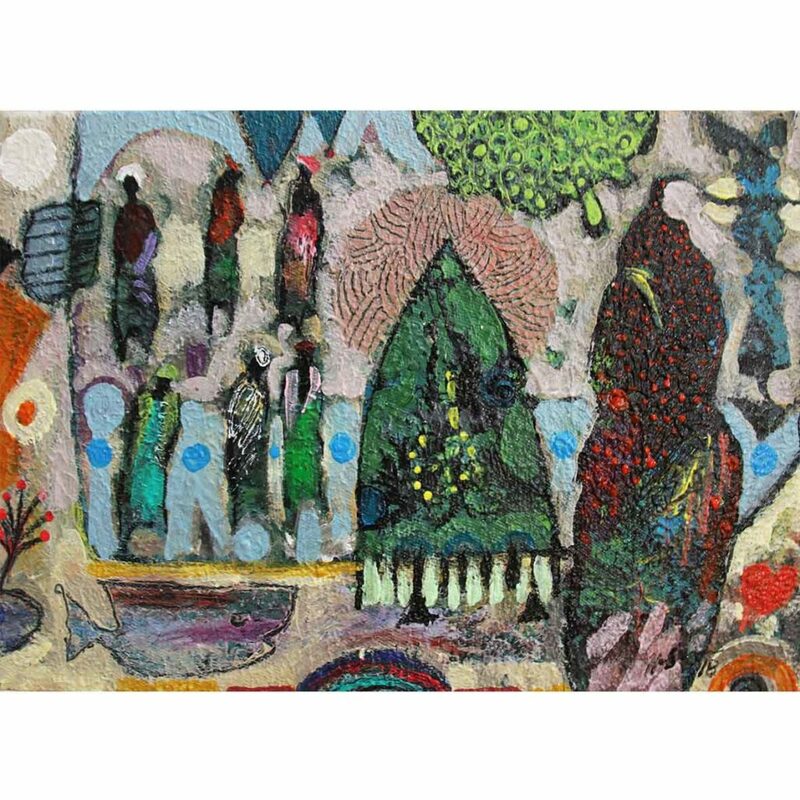 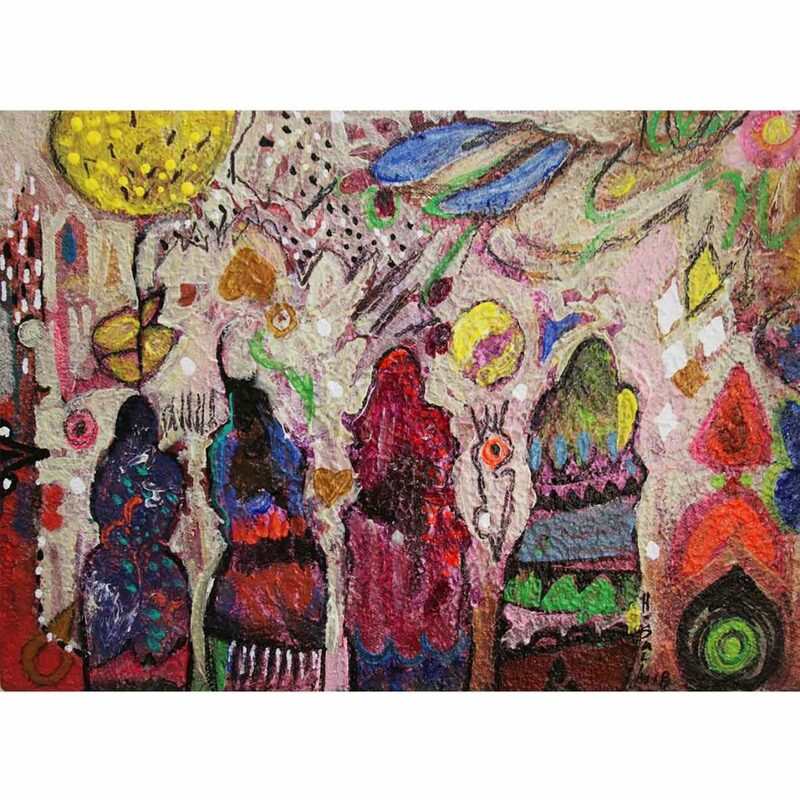 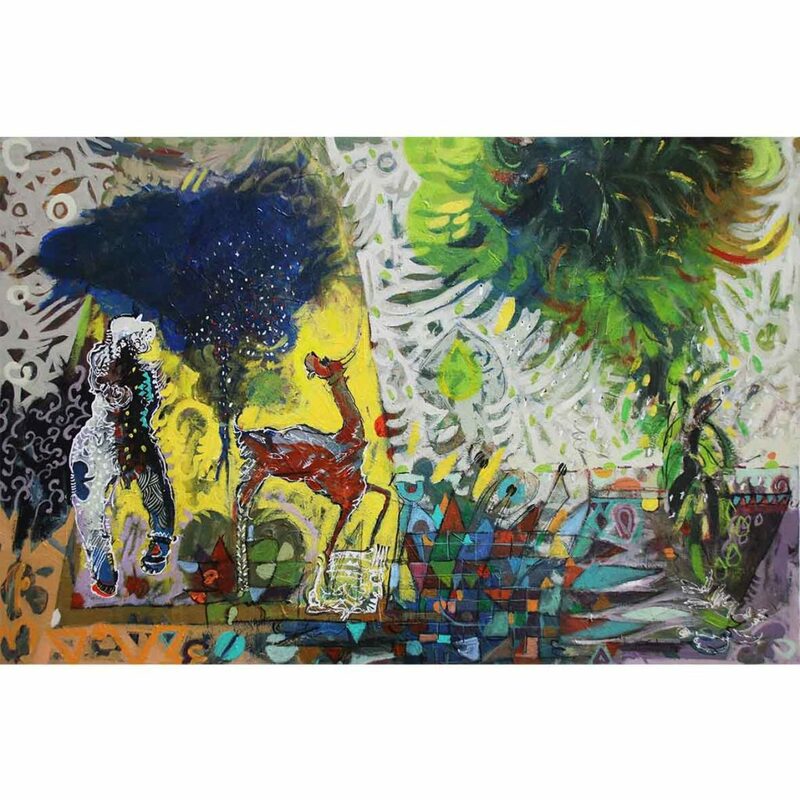 He has exhibited extensively overseas along with acclaimed local galleries, such as Johans Borman and Bonisa Private Gallery. 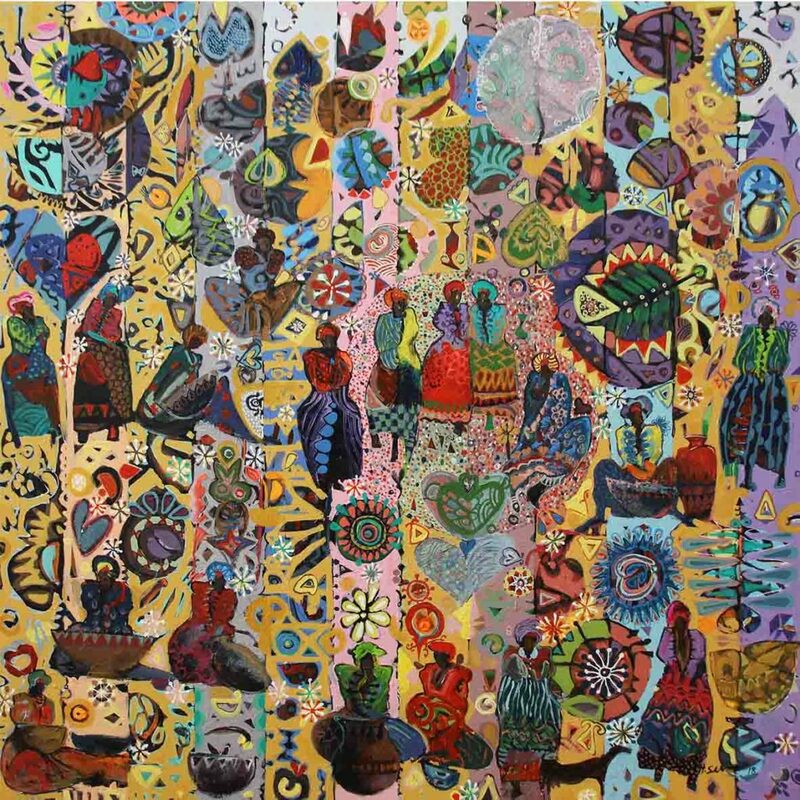 It was during this time, that Salim and his family embarked on both an emotional and awakening return back to his homeland, Sudan. 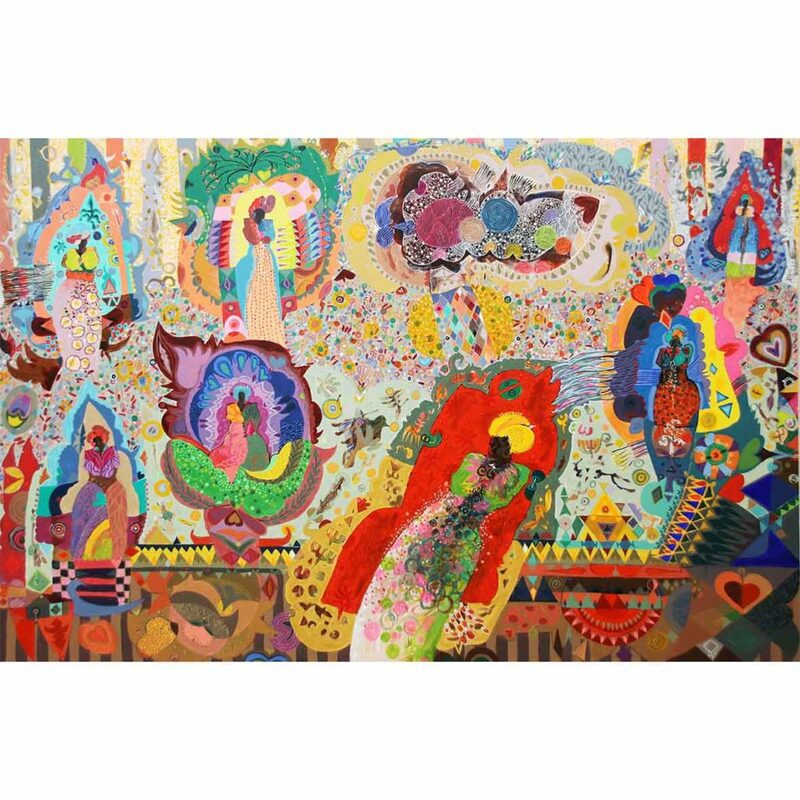 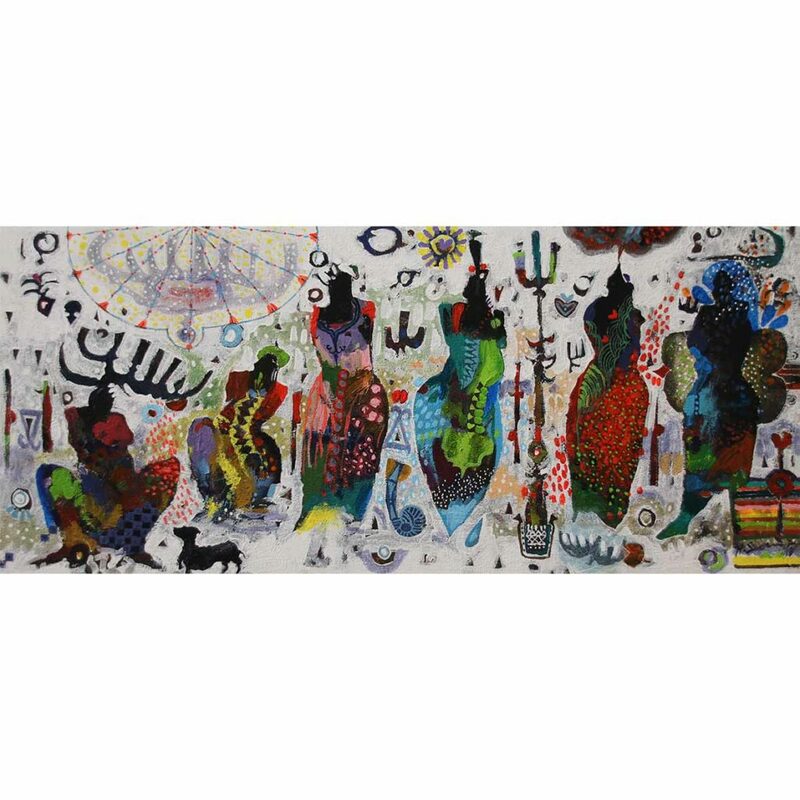 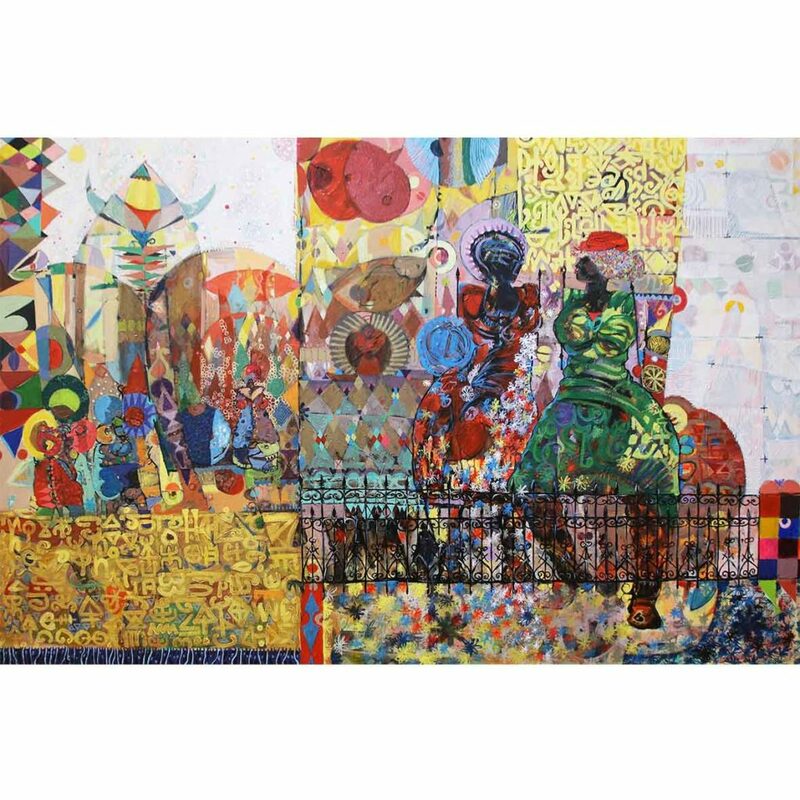 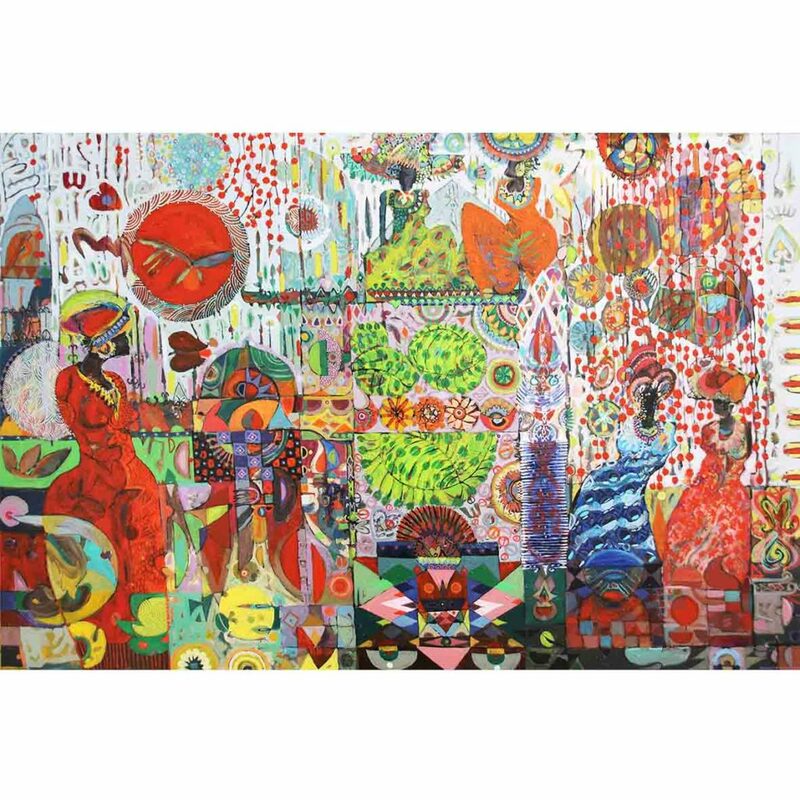 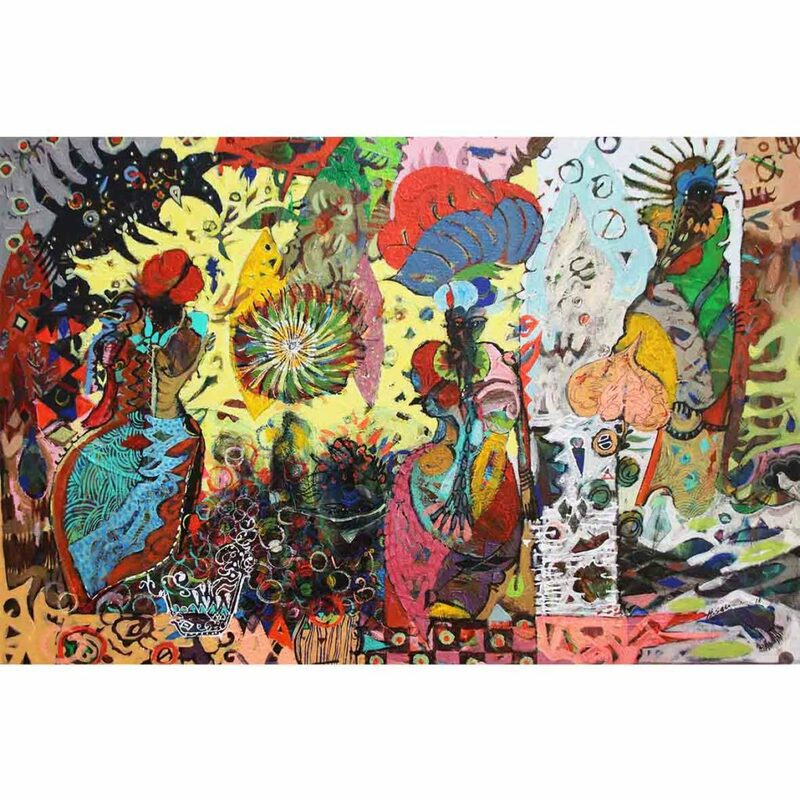 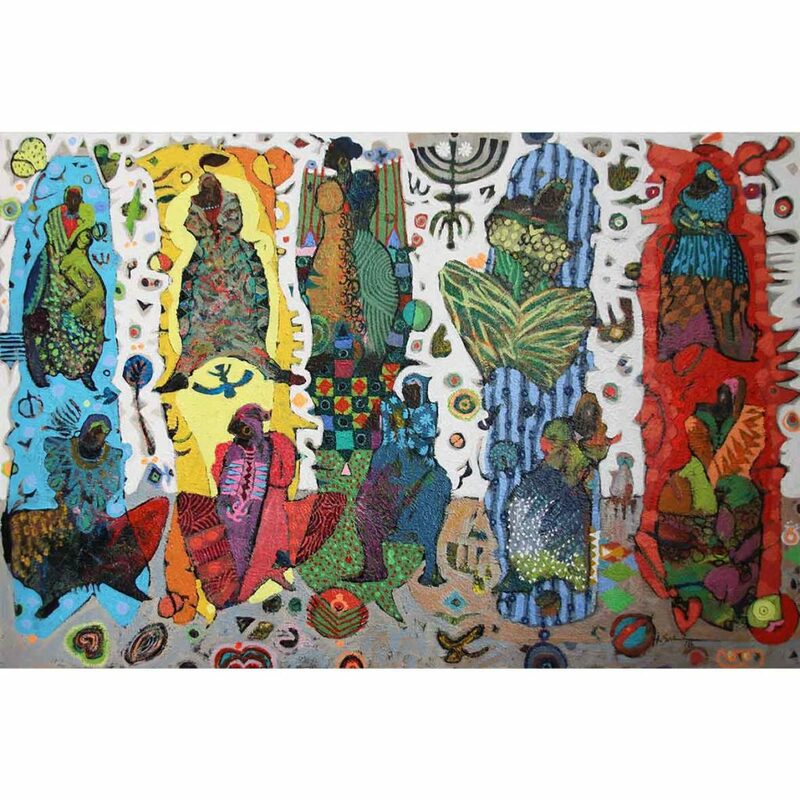 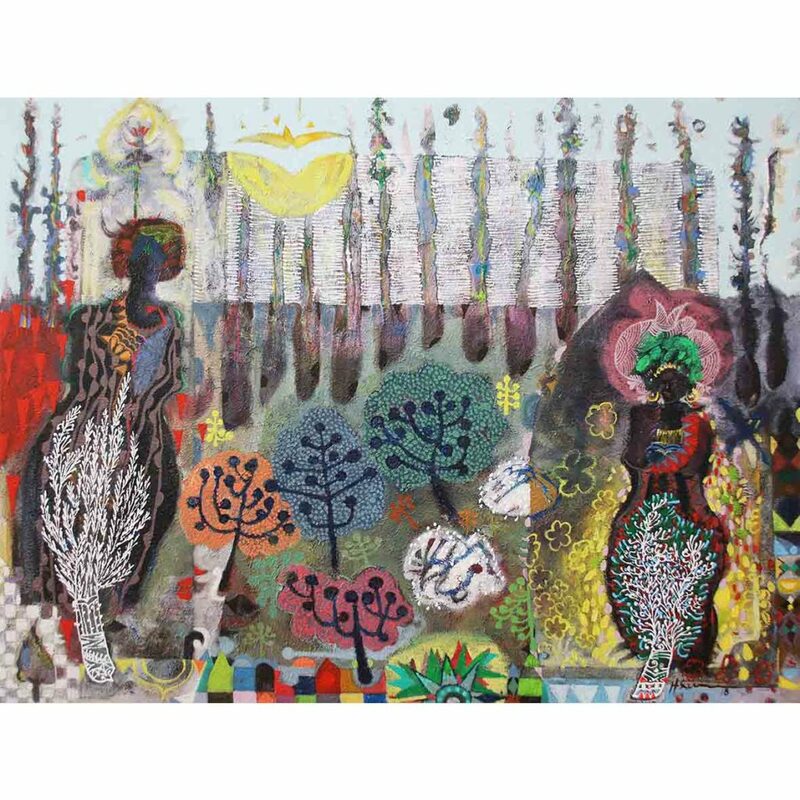 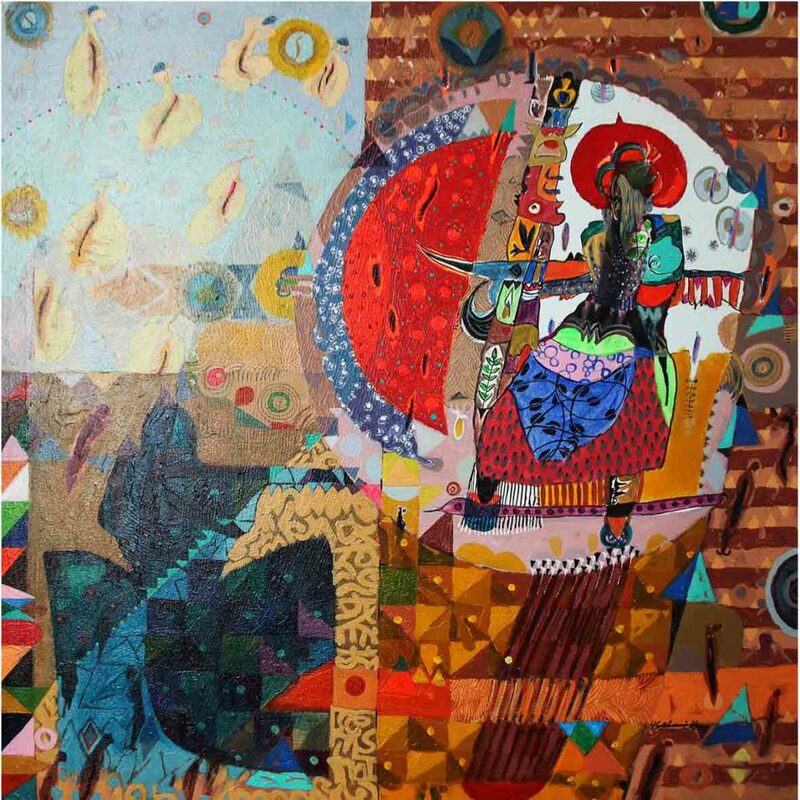 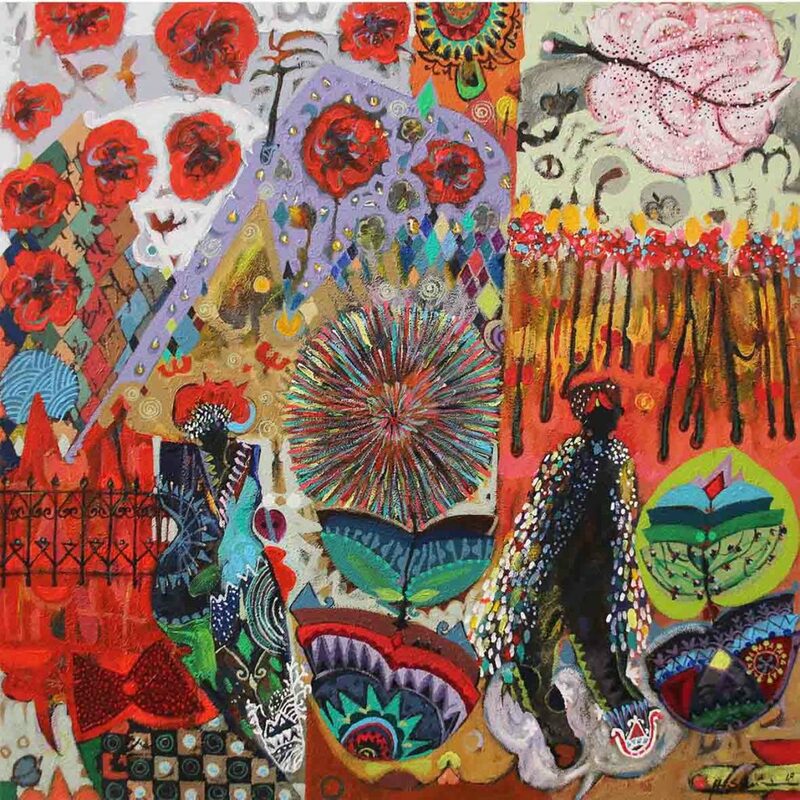 Inspired by its diversity and diasporic, multicultural communal structure, his body of work aims to celebrate this through extensive layering of symbols masked by rich colours. 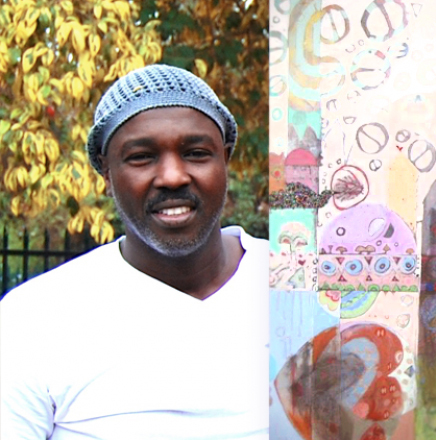 Following the example of graciousness, humility and resilience of the Sudanese, Hussain Salim has worked closely with NGO’s such as African Angels and Buccaneers Outreach program, whom focus on the sustenance and uplifting of children and schools in marginalized communities with proceeds of his artwork sales being donated to various outreach schemes. 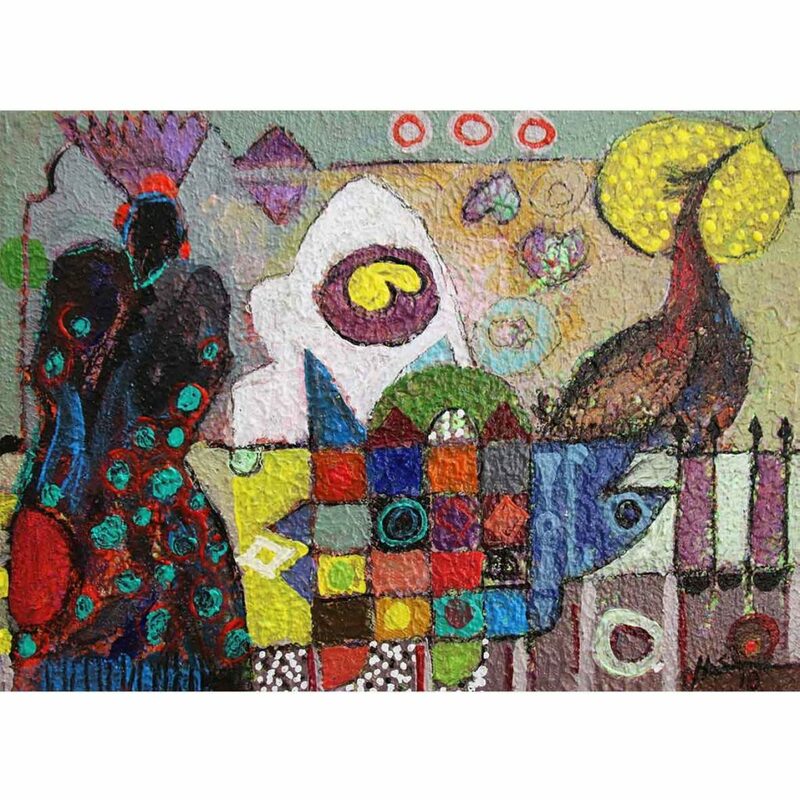 – ‘Art that inspires’ Anniversary exhibition at Johans Borman Fine Art Gallery, Cape Town, South Africa. 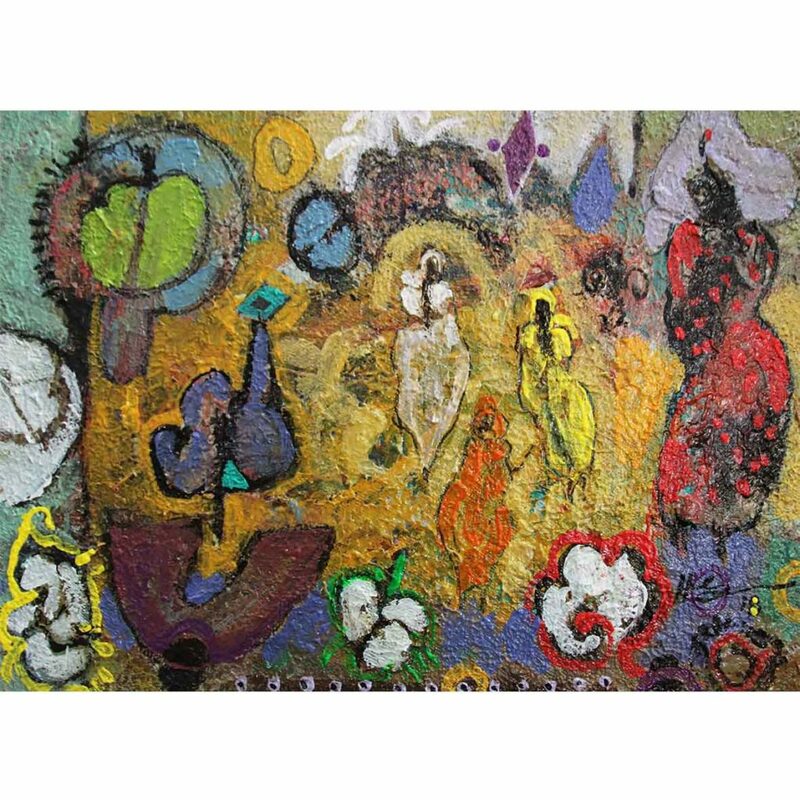 – ‘Allusions of Abstraction’ – Johans Borman Fine Art Gallery, Cape Town, South Africa. 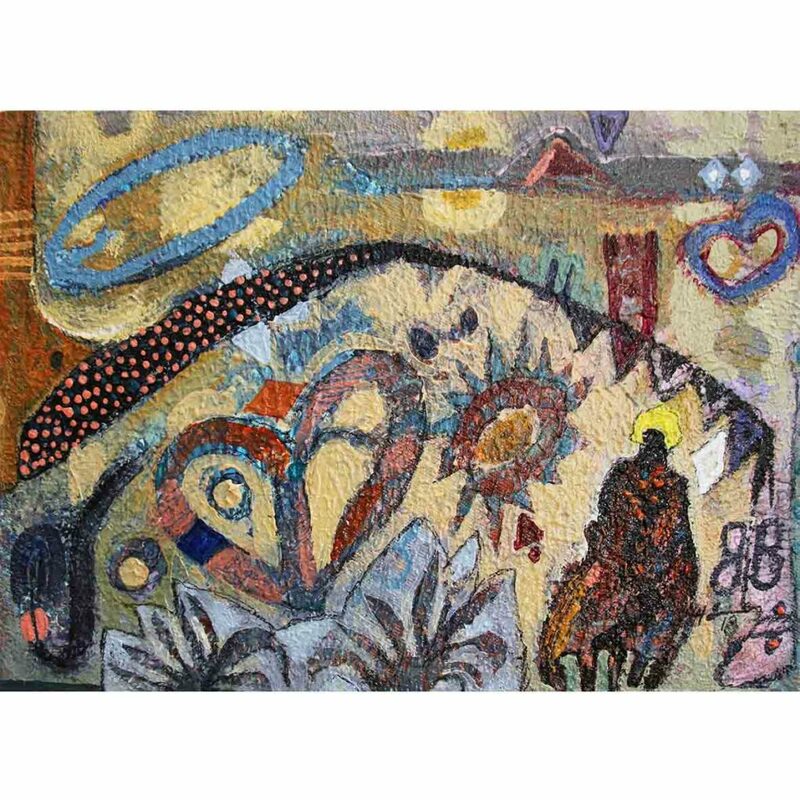 – ‘SPECTRA’ – Johans Borman Fine Art Gallery, Cape Town, South Africa. 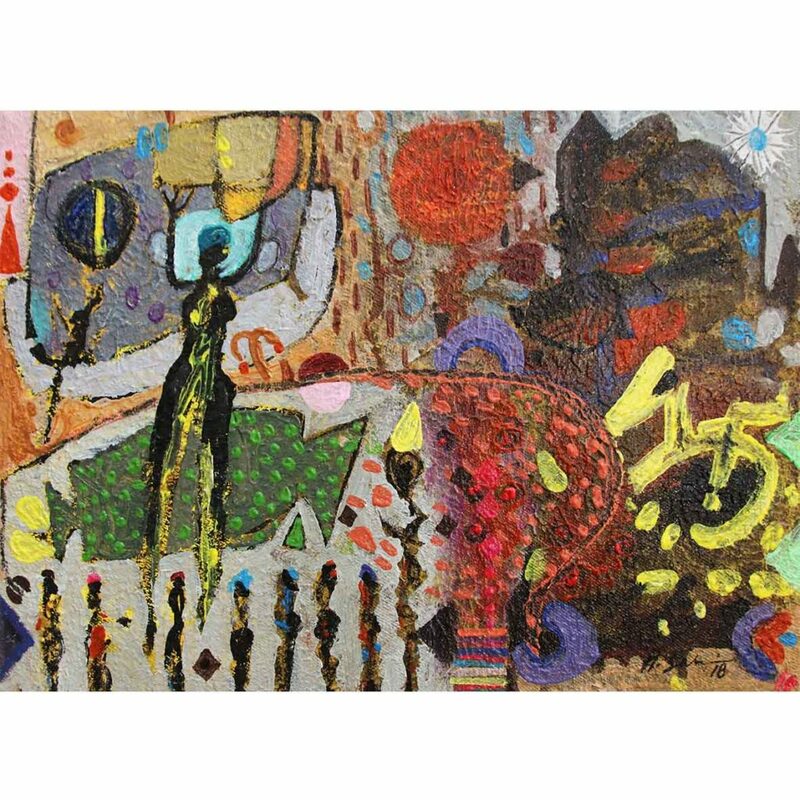 – ‘Allusions of Abstraction II’ – Johans Borman Fine Art Gallery, Cape Town, South Africa.